petition: Help get iKON on the radio! Help get iKON on the radio! With K-Pop on the rise both globally and in the Western world, people are beginning to become more culturally connected with foreign lyrics and experience music outside the realm of English speaking artists. One popular K-Pop group that is on the rise internationally, is iKON — a South Korean boy band formed in 2015 by YG Entertainment. iKON is best known for their success with their title track "Love Scenario" released in 2018. This reached number one on numerous digital platforms within Korea such as iChart, Melon, Genie, Bugs, Mnet, Naver, and Soribada, and also number one on the real-time, weekly charts. It peaked at #1 on Billboard Korea K-Pop 100. With "Love Scenario", iKON also topped the Gaon Weekly chart (Korean music chart) for six weeks, the first artist to do so. Several major media outlets such as Billboard and iHeartRadio have reported on iKON's achievements many times over the years since their debut. Despite all of these achievements, very few fans have reported hearing iKON's latest single "I'M OK", or any of their other hit singles from their newest full-length album New Kids Repackage: The New Kids, on major radio stations within America and worldwide. With over 2.2 million listeners and 1.6 million streams and counting on Spotify with their latest release, "I'M OK", and over 10 million views of the music video on Youtube in less than a week since it's official release, iKON has been dominating globally over the recent years. However, we have still not heard them being played on the radio as frequently as they should. But, they deserve to be heard. 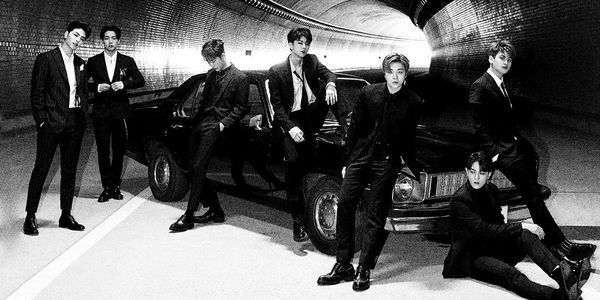 The lyrics of their most recent release, "I'M OK", speak on iKON's emotional journey as a group and the struggles they have faced over the years. The song transcends across a wide range of audience that appreciate iKON's artistry and musicality. Through their emotional and socially aware lyrics, iKON has moved on from being just a typical idol group, and have become artists themselves — writing, producing, and composing their own music and creating a strong and healing message in their songs. With their latest single, "I'M OK", iKON has drawn in many listeners who have been touched by their lyrics. Upon hearing this song, many people, both fans and non-fans, have shared their own stories about personal struggles with mental illnesses, grief, loss, and expressing everyday struggles that they face, and so on. With such impactful songs and lyrics they continue to create, iKON truly deserves to be put on rotation on radios worldwide. This petition will aid in the process in helping iKON be played more frequently on the radio, both now and in the future, as we present the petition to major radio companies. This will help iKON get recognized by the entire world, and have their emotional and socially aware lyrics heard worldwide. iKONICS, it only takes a few seconds to sign this petition to get them on radio stations in America and internationally. This petition is free to everyone all around the world to sign. We ask you to simply sign and then spread the word far and wide. This is a group that has worked hard for years, and accomplished the unimaginable throughout in their careers. These seven hardworking, talented men deserve to break through further in Western countries like America. We already know how popular they are and how much recognition they've gained over the years, and it's time for everyone else to know too! We can prove to iKON, the determination and resilience we have as iKONICs. Have more questions? Click here to read for more information about this petition. Below is the petition letter we have created addressed to targeted radio stations. We are reaching out to in regards to requesting the inclusion of the South Korean group 아이콘, also known as iKON, on all iHeartRadio music stations throughout the United States and worldwide. They have garnered many fans all throughout the world including in the United States, South America, Central America, Asia, United Kingdom, Australia, and so on. iKON has continued to gain popularity and recognition globally as the K-Pop phenomenon continues to sweep the world. Their name signifies being "icons" of Korea. However, their popularity has definitely surpassed their home country and been taking over the globe. In less than a week since their newest title track "I'M OK" was released (official release on January 7, 2019), they have made impact worldwide. Their newest title track "I'M OK" hit the top of the iTunes charts in various countries. The song peaked at No. 1 on iTunes Top Songs charts in 12 regions including Malaysia, Saudi Arabia, Singapore, Vietnam and the Philippines. Their newest repackaged album New Kids Repackage: The New Kids also topped the iTunes Albums charts in more than seven regions of the world. They also have had a long standing history with charting on Billboard, including peaking 5 times in Billboard's World Albums Chart with their other previous EP/album releases, all of which were top ten hits. They have also charted three times on the Heatseekers Chart on Billboard, and peaked at #1 for six weeks straight on Billboard Korea K-Pop 100. (1). iKON have gained attention and praise from many music community websites, including Billboard (2), and other various international media outlets. Hundreds of video reactors have praised the song "I'M OK" for it's deep and socially aware lyrics and iKON's artistry. It has attracted the attention of both fans and non-fans alike. iKON is especially gaining popularity more recently from U.S. media outlets and fans with their announcement of a North American tour this year. In their newest title track "I'M OK", iKON speaks on their emotional journey as a group and as individuals. Through their emotional lyrics, iKON creates a strong message in their songs speaking on topics such as forlorn love, loss, and acceptance. With their latest single, "I'M OK", iKON has drawn in many listeners who have been touched by their lyrics. The song itself and many others in iKON's discography have melancholic lyrics and melodic hip hop sounds reminiscent of many American artists. We are requesting to have "I'M OK" and the other tracks from their new album New Kids Repackage: The New Kids added into your catalog for rotation on major radio stations in America. Many fans, both within North America and internationally, would love to hear them played on iHeartRadio music stations across the U.S. and streamed internationally. Many of iKON's fans have already began requesting under the Twitter hashtag #GetiKONOnTheRadio for their songs to be played globally. iKON's music continues to transcend past the language barrier and touch the hearts of millions of listeners. They have proven to listeners that is does not matter what language they are speaking, because the message, lyrics, and imagery associated with their music allows people from all across to world to unite together for one common reason. Their love of music. We would love to hear iKON on iHeartRadio playing on radio stations throughout the country because iKON deserves a breakthrough in Western countries like the U.S. Millions of views and streams show that people want to hear them. The petition goal has been extended from 25k to 30k. The deadline is now set to February 20, 2019. We should continue to be consistent. This isn’t an instant process. We must show these radio stations there is a high demand for iKON. All iKONICS WORLDWIDE on Twitter: RT this thread: bit.ly/2RHnP3x. It’s an informative guide on how to this petition SUCCEED. Thanks for supporting! We’re almost halfway to our goal. Please help iKON succeed!